Our team of communications specialists, climate scientists, economists, environmental researchers, journalists and social scientists are dedicated to improving the communication of climate change and its solutions to local audiences. Whilst varied in expertise, we share a common goal of a brighter future for Australia. David is Founder and Director of the Climate Change Communication Research Hub and is based in Communications and Media Studies at Monash University. Ailie is a Senior Research Fellow in the School of Earth, Atmosphere and Environment in the Faculty of Science and Deputy Director of the Monash Climate Change Communication Research Hub. Stephanie is a communications specialist dedicated to improving climate literacy in Australia in her role as Communications Manager of the Climate Change Communication Research Hub. Remy is an emerging environmental change agent and is leading the Hub's Changing Climates project with Leader Local Newspapers. James is a Knowledge Broker for the MCCCRH & the ARC Centre of Excellence for Climate Extremes where he helps translate the Centre's research to be more available and useful to everyone. Tahnee is passionate about the communication of climate change bringing together her undergraduate studies in Arts and Science at Monash University. Jack is committed to increasing the accessibility of climate science for the general public in his role as Research Assistant. 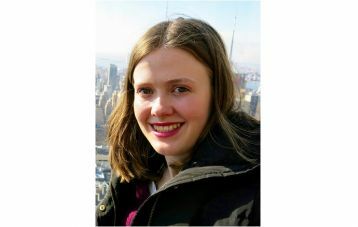 Zoe is a PhD candidate in the School of Earth, Atmosphere and Environment and works as the Hub's Coding and Analysis Officer. 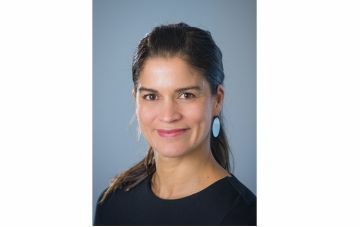 Dr. Rowena Cantley-Smith is a Barrister and a member of Monash University's Law Faculty and has key expertise in Australian energy law and international climate change and environmental law. Claire is a Project Officer at Climateworks Australia and leads their Generation Yes project to mainstream Australia’s path to zero net emissions. Roger is the Senior Lecturer in Renewable Energy in the Resources Engineering group in the Department of Civil Engineering at Monash University and an expert in energy systems and climate change. 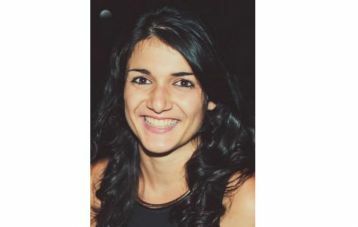 Yasmina is the Strategy Manager for Monash's Net Zero Initiative, driving the transition of Monash Australian campuses to 100 % renewable power and net zero emissions by 2030. Dietmar is a Associate Professor in the School of Earth, Atmosphere and Environment and a chief investigator of the Australian Research Council Centre of Excellence in Climate Extremes. 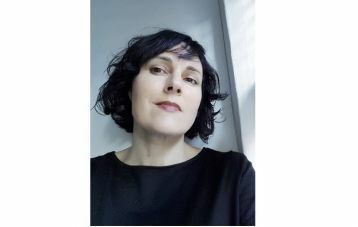 Megan is an Associate Professor of Human Geography, specialising in institutional structures that influence the delivery of sustainable urban and rural environments. Brett is an Australian Research Council Future Fellow and Professor in Monash University's School of Media, Film and Journalism. Sisira is a Professor of Economics at Monash Business School and Director of the Centre for Development Economics and Sustainability. Anke is a Senior Lecturer in the Department of Economics at the Monash Business School, where she teaches Economics of Climate Change to undergraduate students. Ariel is Deputy Director of the Monash Energy Materials and Systems Institute (MEMSI) where he leads Monash’s Digital Energy initiatives. Andrew is Professor Emeritus of English and Comparative Literature at Monash University and Honorary Professor of English and Comparative Literary Studies at Warwick University. Ruth is an environmental historian who researches the interactions between people and place over time, and how these interactions have shaped our present. Aneta is a cultural and media researcher, dedicated to collaborative, interdisciplinary academic work that engages communities and industry. Alan Reid is an Associate Professor in the Faculty of Education, whose research interests focus on teachers’ thinking and practice in environmental education. 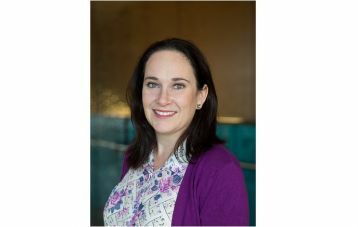 Briony is a Senior Lecturer with Monash University’s School of Social Sciences and leads social and interdisciplinary research on transitions in water management and climate resilience. Patricia is an academic in Nursing and Midwifery where she teaches global health. 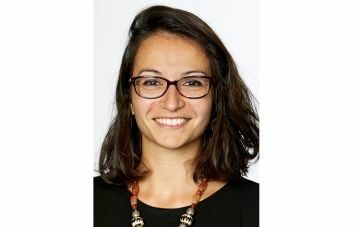 She also researches climate and health and is currently undertaking a PhD investigating the health impacts of climate-related migration in the Global South. Param is a professor of Econometrics in the Department of Econometrics and Business Statistic, whose recent research has focused on the economic impacts of climate change on wheat crops in regional Victoria. Belinda is head of Film and Screen Studies in Monash University's School of Media, Film & Journalism. Susan is a social scientist, with an interdisciplinary background in human geography and environmental engineering. James is currently a Creative Writing PhD candidate of Languages, Literatures, Cultures and Linguistics, Monash University. 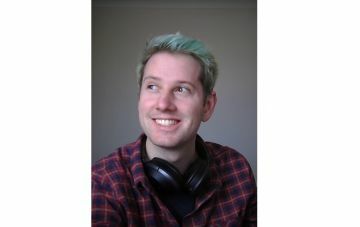 His research focuses on representations of anthropogenic climate change in literature and other fictional media, with an emphasis on Australian contributions to the genre. 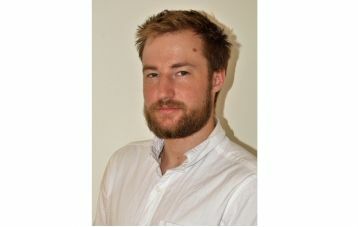 Michael is currently pursuing doctoral research in photo-voice and comparative urban climate resilience in Bangladesh, China and Australia at Monash University. Le is currently a PhD candidate in the School of Film, Media and Journalism, investigating how journalists and other groups have been using social media to translate public opinions into changes in policies and practices in environmental, climate change and sustainable issues. Bringing together a strong background in the environmental sector and recent studies in social psychology, Lucy’s PhD research aims to help improve Australia’s growing population’s adoption of behaviours that address climate change. Please see below for a full list of academic publications from the members listed above. Anderson, D 2014, Endurance: Australian stories of drought, Collingwood VIC Australia: CSIRO Publishing. Cutter-Mackenzie, AN, Payne, PG & Reid, A (eds.) 2011, Experiencing Environment and Place through Children’s Literature, Routledge, UK. Cutter-Mackenzie, AN, Payne, PG & Reid, A (eds.) 2010, Environmental Education Research (Special Issue: Experiencing Environment and Place through Children’s Literature), Routledge, United Kingdom. Hutchins, B & Lester, L (eds.) 2013, Environmental Conflict & the Media, Peter Lang, New York. Milner, A, Sellars, S & Burgmann, V (eds.) 2011, Changing the Climate: Utopia, Dystopia and Catastrophe, Arena Publications, Melbourne. Morgan, R 2015, Running Out? Water in Western Australia, UWA Publishing. Morgan, RA & Antonello, A (ed.) 2018, Bodies of Knowledge: Histories of Environment and Science, vol. 3, ANU E Press. Podkalicka, AM & Rennie, E 2018, Using Media for Social Innovation. Intellect Ltd, Fishponds Bristol UK. Reid, AD, Hart, P & Peters, MA (eds.) 2014, A Companion to Research in Education, Springer, The Netherlands. Reid, A, Jensen, BB, Nikel, J & Simovska, V (eds.) 2008, Participation and Learning: Perspectives on Education and the Environment, Health and Sustainability, Springer, The Netherlands. Reid, AD & Scott, W (eds.) 2008, Researching Education and the Environment: Retrospect and Prospect, Routledge, UK. Smaill, B 2016, Regarding Life: Animals and the Documentary Moving Image, SUNY Press. Anderson, D 2017 [Forthcoming], ‘And Unto Dust: Grim Humour and Hope in Australian Oral Histories of Drought,’ in S Sloan & M Cave (eds. ), Oral History and Environment. Oxford University Press. Anderson, D 2016, 'Up where I belong: Doing cultural studies in the deep north of Australia', Continuum: Journal of Media and Cultural Studies, vol. 30, no. 2, pp. 218 - 230. Anderson, D 2016, ‘Voices of endurance: Climate and the power of oral history’ in T Bristow & TH Ford (eds. ), A Cultural History of Climate Change, Routledge Environmental Humanities Series, London, pp. 17-37. Anderson, D 2016, ‘Talk of the Town in Drought Country,’ in C Driscoll, K Darian-Smith & D Nichols (eds. ), Cultural Sustainability in Rural Communities: Rethinking Australian Country Towns, Ashgate Publishing, UK. Anderson, D 2001, ‘This Little Old Farm: The Anderson Family of the Atherton Tableland,’ in N Lindsay & J Craig (eds. ), Stars under the Southern Cross: The Untold Stories of Queensland Family Businesses, Robina, Qld: Bond University, pp. 171-74. Asayama, S., Lidberg, J., Cloteau, A., Comby , J-B. & Chubb, P. 2017, ‘Who Captures the Voice of the Climate? : Policy Networks and the Political Role of Media in Australia, France and Japan’, in R Kunelius, E Eide, M Tegelberg, & D Yagodin (eds. ), Media and Global Climate Knowledge: Journalism and the IPCC, 1 ed. New York NY USA: Palgrave Macmillan, pp. 171-192. Brown, RR, Rogers, BC & Werbeloff, L 2017, A Framework to Guide Transitions to Water Sensitive Cities. in T Moore, F de Haan, R Horne & B Gleeson (eds), Urban Sustainability Transitions: Australian Cases-International Perspectives. Theory and Practice of Urban Sustainability Transitions, Springer, Gateway East, Singapore, pp. 129-148. Dargaville, RJ & Simmonds, I 1999, Calculating CO2 fluxes by data assimilation coupled to a three dimensional mass balance inversion. in Inverse Methods in Global Biogeochemical Cycles, 2000. Geophysical Monograph Series, vol. 114, Wiley-Blackwell, pp. 255-264. Dillon, J & Reid, A 2017, Science, the environment and citizenship: teaching values at the Minstead Study Centre. in J Dillon (ed. ), Towards a Convergence Between Science and Environmental Education: The selected works of Justin Dillon. World Library of Educationalists Series, Routledge, New York NY USA, pp. 205-217. Dillon, J, Reid, AD 2007, ‘Science, the environment and citizenship: Teaching values at the Minstead Study Centre’, in D Corrigan, J Dillon & R Gunstone (eds. ), The Re-Emergence of Values in Science Education, Sense Publishers, The Netherlands, pp. 77-88. Holmes, D & Farrant B 2013, ‘Where is the scrutiny of the ‘greatest moral challenge of our time’?’, in H Sykes (ed. ), The Story of the 2013 Federal Election, Future Leaders Publications, Albert Park, pp. 283-285. Holmes, D 2012, ‘Changing the Climate: Modernity at its Limits’ in D Holmes, K Hughes & R Julian (eds. ), Australian Sociology: A Changing Society, Pearson, Sydney, pp. 381-421. Hutchins, B & Lester, L 2013, ‘Tree-Sitting in the Network Society’, in L Lester & B Hutchins (eds. ), Environmental Conflict and the Media, Peter Lang, New York, pp. 1-18. Hutchins, B & Lester, L 2011, ‘Power, Politics and Online Protest in an Age of Environmental Conflict,’ in S Cottle and L Lester (eds. ), Transnational Protests and the Media, Peter Lang, New York, pp. 159-171. Milner, AJ 2018, Deconstructing national literature: Comparative literature, cultural studies and critical theory. in JR Burgmann (ed. ), Again, Dangerous Visions: Essays in Cultural Materialism. vol. 167, Historical Materialism Book Series, vol. 167, Brill, Leiden the Netherlands, pp. 126-139. Milner, AJ 2018, From Media Imperialism to Semioterrorism. in JR Burgmann (ed. ), Again, Dangerous Visions: Essays in Cultural Materialism. Historical Materialism Book Series, vol. 167, Brill, Leiden Netherlands, pp. 354-358. Milner, AJ 2018, Loose canons and fallen angels. in JR Burgmann (ed. ), Again, Dangerous Visions. vol. 167, Historical Materialism Book Series, vol. 167, Brill, Leiden Netherlands, pp. 93-112. Milner, AJ 2018, The protestant epic and the spirit of capitalism. in JR Burgmann (ed. ), Again, Dangerous Visions: Essays in Cultural Materialism. Historical Materialism Book Series, Brill, Leiden The Netherlands, pp. 44-77. Milner, AJ 2018, The Revolutions in Favour of Capital. in JR Burgmann (ed. ), Again, Dangerous Visions: Essays in cultural materialism. Historical Materialism Book Series, Brill, Leidon the Netherlands, pp. 252-268. Milner, A 2014, ‘The Sea and Eternal Summer: An Australian Apocalypse’ in G Canavan & KS Robinson (eds.) Green Planets: Ecology and Science Fiction, Wesleyan University Press, Middletown, pp. 115-126. Milner, A 2013, ‘Drowning Towers: An Antipodean Apocalypse’ in AA Hernandez (ed.) Apocalypse: Imagining the End, Inter-Disciplinary Press, Oxford, pp. 75-83. Milner, A 2012, ‘On the Beach and The Sea and Summer: Two Paradigmatic Australian Dystopias?’ in A Blaim & L Gruszewska Blaim (eds.) Spectres of Utopia: Theory, Practice, Conventions, Peter Lang, Frankfurt am Main, pp. 256-268. Milner, A 2011, ‘Introduction: Changing the Climate’ in A Milner, S Sellars & V Burgmann (eds. ), Changing the Climate: Utopia, Dystopia and Catastrophe, Arena Publications, Melbourne, pp. 1-7. Morgan, RA 2018, 'Climate and empire in the nineteenth century', in S White, C Pfister & F Mauelshagen (eds), The Palgrave Handbook of Climate History, 1st edn, Palgrave Macmillan, London UK, pp. 589-603. Morgan, RA 2018, 'On the home front: Australians and the 1914 drought', in G Endfield & L Veale (eds), Cultural Histories, Memories and Extreme Weather: A Historical Geography Perspective. Routledge Research in Historical Geography, Routledge, Abingdon Oxon UK, Australian Historical Studies, pp. 34-54. Morgan, R 2015, ‘Salubrity and the survival of the Swan River Colony: health, climate and settlement in colonial Western Australia’, in A Varnava (ed. ), Imperial Expectations and Realities: El Dorados, Utopias and Dystopias, Manchester University Press, pp. 89-204. Morgan, R 2014, ‘Farming on the fringe: agriculture and climate variability in the Western Australian wheatbelt’, in J Beattie, M Henry & E O’Gorman (eds. ), Climate, Science and Colonization: Histories from Australia and New Zealand, Palgrave Macmillan, pp. 159-76. Morgan, R 2013, ‘Out of sight, out of mind: the use and misuse of groundwater in Perth, Western Australia’, Australian Policy and History. Reid, AD 2014, ‘Characterising research in education: troubling characteristics and caricature’, in AD Reid, EP Hart & MA Peters (eds.) A Companion to Research in Education, Springer, The Netherlands, pp. 123-128. Reid, AD 2014, ‘Conceptualising research in education: challenging concepts and conceptions’, in AD Reid, EP Hart & MA Peters (eds.) A Companion to Research in Education, Springer, The Netherlands, pp. 3-12. Reid, AD & Payne, PG 2013, ‘Handbooks of environmental education research: for further reading and writing’, in RB Stevenson, M Brody, J Dillon & AEJ Wals (eds. ), International Handbook of Research on Environmental Education, Routledge, United States / United Kingdom, pp. 529-541. Reid, AD & Scott, W 2013, ‘Identifying needs in environmental education research’, in RB Stevenson, M Brody, J Dillon & AEJ Wals (eds. ), International Handbook of Research on Environmental Education, Routledge, United States / United Kingdom, pp. 518-528. Reid, A & Nikel, J 2008, ‘Differentiating and Evaluating Conceptions and Examples of Participation in Environment-Related Learning’, in A Reid, BB Jensen, J Nikel & V Simovska (eds. ), Participation and Learning: Perspectives on Education and the Environment, Health and Sustainability, Springer, The Netherlands, pp. 32-60. Reid, A, Jensen, BB, Nikel, J, Simovska, V 2008, ‘Participation and Learning: Developing Perspectives on Education and the Environment, Health and Sustainability, in A Reid, BB Jensen, J Nikel & V Simovska (eds. ), Participation and Learning: Perspectives on Education and the Environment, Health and Sustainability, Springer, The Netherlands, pp. 1-18. Reid, AD, Scott, W 2008, ‘Researching education and the environment: retrospect and prospect’, in A Reid & W Scott (eds. ), Researching Education and the Environment: Retrospect and Prospect, Routledge, UK / USA / Canada, pp. 325-341. Rickinson, M & Reid, AD 2016, ‘Synthesis of research in higher education for sustainable development’, in M Barth, G Michelsen, M Rieckmann & I Thomas (eds. ), Routledge Handbook of Higher Education for Sustainable Development, Routledge, Abingdon Oxon UK, pp. 142-160. Smaill, B 2017 [Forthcoming], ‘Ecological Relations and the Back of Beyond: Australian Documentary, the Human and the Wildlife Webcam’ in F Collins, J Landman & S Bye (eds. ), A Companion to Australian Cinema, Wiley-Blackwell, London. Smaill, B 2014, ‘Darwin’s Nightmare and The Cove: Emotion and Political Documentary’ in AWv Mossner’ (ed. ), Moving Environments: Affect, Emotion, Ecology and Film, Wilfrid Laurier University Press, Waterloo. Wainstein, ME, Dargaville, R & Bumpus, A 2017, Social virtual energy networks: Exploring innovative business models of prosumer aggregation with virtual power plants. in F Rahimi (ed. ), 2017 IEEE Power and Energy Society Innovative Smart Grid Technologies Conference (ISGT 2017)., 8086022, IEEE, Institute of Electrical and Electronics Engineers, Piscataway NJ USA, pp. 313-317, IEEE PES Innovative Smart Grid Technologies Conference 2017, Washington, United States, 23/04/17. Ackerley, D & Dommenget, D 2016, 'Atmosphere-only GCM (ACCESS1.0) simulations with prescribed land surface temperatures', Geoscientific Model Development, vol. 9, no. 6, pp. 2077-2098. Anderson, D 2018, 'Fanning the Blame: Media Accountability, Climate and Crisis on the Australian "Fire Continent"', Environmental Communication, vol. 12, no. 7, pp. 928-941. Anderson, D 2016, ‘Up where I belong: Doing cultural studies in the deep north of Australia’, Continuum: Journal of Media and Cultural Studies, vol. 30, no. 2, pp. 218-230. Anderson, D 2012, ‘Climate lived and contested: Narratives of Mallee women, drought and climate change’, Hecate: an interdisciplinary journal of women’s liberation, vol. 38, nos. 1&2, pp. 24-41. Anderson, D 2010, ‘Drought, endurance and climate change ‘pioneers’: Lived experience in the production of rural environmental knowledge’, Cultural Studies Review, vol. 16, no. 1, pp. 82 – 101. Anderson, D 2009, ‘Enduring drought then “coping” with climate change: Lived experience and local resolve in rural mental health’, Rural Society, vol. 19, no. 4, pp. 340-352. Anderson, D 2008, ‘Drought, endurance and ‘the way things were’: The lived experience of climate and climate change in the Mallee’, Australian Humanities Review, vol. 45, p. 67-82. Anderson, D 2007, ‘Weathering the storm: A tale of timing, loss and learning’, Traffic, University of Melbourne, vol. 9, pp. 15-33. Anderson, D 2004, ‘Rethinking Drought in a Sunburnt Country’, Australian Perspectives (online special edition). Anderson, D 2004, ‘Drought and the Dark Side of Progress’, Risk (online special edition of antiTHESIS). Barnett, TP, Pierce, DW, Latif, M, Dommenget, D & Saravanan, R 1999, 'Interdecadal interactions between the tropics and midlatitudes in the Pacific basin', Geophysical Research Letters, vol. 26, no. 5, pp. 615-618. Barnett, TP, Pierce, DW, Saravanan, R, Schneider, N, Dommenget, D & Latif, M 1999, 'Origins of the midlatitude Pacific decadal variability', Geophysical Research Letters, vol. 26, no. 10, pp. 1453-1456. Batehup, R, McGregor, S & Gallant, AJE 2015, ‘The influence of non-stationary teleconnections on palaeoclimate reconstructions of ENSO variance using a pseudoproxy framework’, Climate of the Past, vol. 11, no. 12, pp. 1733-1749. Bayr, T, Latif, M, Dommenget, D, Wengel, C, Harlaß, J & Park, W 2018, 'Mean-state dependence of ENSO atmospheric feedbacks in climate models', Climate Dynamics, vol. 50, no. 9-10, pp. 3171-3194. Bayr, T & Dommenget, D 2014, 'Comparing the spatial structure of variability in two datasets against each other on the basis of EOF-modes', Climate Dynamics, vol. 42, no. 5-6, pp. 1631 - 1648. Bayr, T, Dommenget, D, Martin, T & Power, SB 2014, 'The eastward shift of the Walker Circulation in response to global warming and its relationship to ENSO variability', Climate Dynamics, vol. 43, no. 9-10, pp. 2747 - 2763. Bayr, T & Dommenget, D 2013, 'The tropospheric land-sea warming contrast as the driver of tropical sea level pressure changes', Journal of Climate, vol. 26, no. 4, pp. 1387 - 1402. Beattie, J & Morgan, RA 2017, 'Engineering Edens on this ‘rivered Earth’? A review article on water management and hydro-resilience in the British Empire, 1860s–1940s', Environment and History, vol. 23, no. 1, pp. 39-63. Brear, MJ, Jeppesen, M, Chattopadhyay, D, Manzie, C, Alpcan, T & Dargaville, R 2016, 'Least cost, utility scale abatement from Australia's NEM (National Electricity Market). Part 2: Scenarios and policy implications', Energy, vol. 101, pp. 621-628. Brown, JN, Bambrick, H, Barlow, S, Fallon, D, Fernandez-Piquer, J, Gallant, A, Hendrie, G, Nidumolu, U, Northfield, T, Poloczanska, E, Roiko, AT, Tong, S, Vickers, CE & Wheeler, SA 2016, ‘In 30 years, how might climate change affect what Australians eat and drink?’, Bulletin of the Australian Meteorological and Oceanographic Society, vol. 29, no. 1, pp. 22-27. Brown, RR & Farrelly, M 2009, 'Challenges ahead: social and institutional factors influencing sustainable urban stormwater management in Australia' Water Science and Technology, vol. 59, no. 4, pp. 653 - 660. Brown, RR & Farrelly, M 2009, 'Delivering sustainable urban water management: a review of the hurdles we face' Water Science and Technology, vol. 59, no. 5, pp. 839 - 846. Burns, A & Eltham, B 2010, ‘‘Catastrophic failure’ theories: Evaluating media explanations of the Black Saturday bushfires’, Media International Australia, vol. 137, pp. 90-99. Cai, W, Wang, G, Santoso, A, McPhaden, M. J, Wu, L, Jin, F-F, Timmermann, A, Collins, M, Vecchi, G, Lengaigne, M, England, M. H, Dommenget, D, Takahashi, K & Guilyardi, E 2015, 'Increased frequency of extreme La Nina events under greenhouse warming', Nature Climate Change, vol. 5, no. 2, pp. 132-137. Ciais, P, Dolman, AJ, Bombelli, A, Duren, R, Peregon, A, Rayner, PJ, Miller, C, Gobron, N, Kinderman, G, Marland, G, Gruber, N, Chevallier, F, Rodriguez-Andres, J, Balsamo, G, Bopp, L, Bréon, FM, Broquet, G, Dargaville, R, Battin, TJ, Borges, A, Bovensmann, H, Buchwitz, M, Butler, J, Canadell, JG, Cook, RB, Defries, RS, Engelen, RJ, Gurney, KR, Heinze, C, Heimann, M, Held, A, Henry, MJ, Law, B, Luyssaert, S, Miller, J, Moriyama, T, Moulin, C, Myneni, RB, Nussli, C, Obersteiner, M, Ojima, D, Pan, Y, Paris, JD, Piao, SL, Poulter, B, Plummer, SJ, Quegan, S, Raymond, P, Reichstein, M, Rivier, L, Sabine, C, Schimel, D, Tarasova, O, Valentini, R, Wang, R, Van der Werf, GR, Wickland, D, Williams, M & Zehner, C 2014, 'Current systematic carbon-cycle observations and the need for implementing a policy-relevant carbon observing system' Biogeosciences, vol. 11, no. 13, pp. 3547-3602. Corney, G & Reid, AD 2007, ‘Student teachers’ learning about subject matter and pedagogy in education for sustainable development’, Environmental Education Research, vol. 13, no. 1, pp. 33-54. Cutter-Mackenzie, AN, Payne, PG & Reid, A 2010, ‘Editorial: Experiencing Environment and Place through Children’s Literature’, Environmental Education Research, vol. 16, no. 3 & 4, pp. 253-264. Dargaville, R, Baker, D, Rödenbeck, C, Rayner, P & Ciais, P 2006, 'Estimating high latitude carbon fluxes with inversions of atmospheric CO2' Mitigation and Adaptation Strategies for Global Change, vol. 11, no. 4, pp. 769-782. Dargaville, RJ, Doney, SC & Fung, IY 2003, 'Inter-annual variability in the interhemispheric atmospheric CO2 gradient: Contributions from transport and the seasonal rectifier' Tellus, Series B: Chemical and Physical Meteorology, vol. 55, no. 2, pp. 711-722. Dargaville, R, McGuire, AD & Rayner, P 2002, 'Estimates of large-scale fluxes in high latitudes from terrestrial biosphere models and an inversion of atmospheric CO2 measurements' Climatic Change, vol. 55, no. 1-2, pp. 273-285. Dargaville, RJ, Heimann, M, McGuire, AD, Prentice, IC, Kicklighter, DW, Joos, F, Clein, JS, Esser, G, Foley, J, Kaplan, J, Meier, RA, Melillo, JM, Moore, B, Ramankutty, N, Reichenau, T, Schloss, A, Sitch, S, Tian, H, Williams, LJ & Wittenberg, U 2002, 'Evaluation of terrestrial carbon cycle models with atmospheric CO2 measurements: Results from transient simulations considering increasing CO2, climate, and land-use effects' Global Biogeochemical Cycles, vol. 16, no. 4, pp. 39-31. Dargaville, RJ, Law, RM & Pribac, F 2000, 'Implications of interannual variability in atmospheric circulation on modeled CO2 concentrations and source estimates' Global Biogeochemical Cycles, vol. 14, no. 3, pp. 931-943.
de Haan, FJ, Rogers, BC, Brown, RR & Deletic, A 2016, 'Many roads to Rome: The emergence of pathways from patterns of change through exploratory modelling of sustainability transitions' Environmental Modelling and Software, vol. 85, pp. 279-292.
de Haan, FJ, Rogers, BC, Frantzeskaki, N & Brown, RR 2015, 'Transitions through a lens of urban water' Environmental Innovation and Societal Transitions, vol. 15, pp. 1 - 10.
de Haan, FJ, Rogers, BC, Adamowicz, RC, Johnstone, P, Brown, RR & Wong, THF 2014, 'The needs of society: a new understanding of transitions, sustainability and liveability' Technological Forecasting and Social Change, vol. 85, pp. 121 - 132.
de Haan, FJ, Rogers, BC, Deletic, A & Brown, RR 2013, 'A socio-technical model to explore urban water systems scenarios' Water Science and Technology, vol. 68, no. 3, pp. 714 - 721.
de Jong, P, Tanajura, CAS, Sánchez, AS, Dargaville, R, Kiperstok, A & Torres, EA 2018, 'Hydroelectric production from Brazil's São Francisco River could cease due to climate change and inter-annual variability', Science of the Total Environment, vol. 634, pp. 1540-1553.
de Jong, P, Dargaville, R, Silver, J, Utembe, S, Kiperstok, A & Torres, EA 2017, 'Forecasting high proportions of wind energy supplying the Brazilian Northeast electricity grid', Applied Energy, vol. 195, pp. 538-555.
de Jong, P, Kiperstok, A, Sánchez, AS, Dargaville, R & Torres, EA 2016, 'Integrating large scale wind power into the electricity grid in the Northeast of Brazil', Energy, vol. 100, pp. 401-415. Dillon, J & Reid, A 2017, Issues in case-study methodology in investigating environmental and sustainability issues in higher education: towards a problem-based approach? in J Dillon (ed. ), Towards a Convergence Between Science and Environmental Education: The selected works of Justin Dillon. World Library of Educationalists, Routledge, New York NY USA, pp. 111-127. Ding, Q, Wallace, JM, Battisti, DS, Steig, EJ, Gallant, A, Kim, H-J & Geng, L 2014, ‘Tropical forcing of the recent rapid Arctic warming in northeastern Canada and Greenland’, Nature, vol. 509, no. 7499, pp. 209 – 212. Dobbie, MF, Morgan, RA & Frost, L 2017, 'Overcoming abundance: Social capital and managing floods in inner Melbourne during the nineteenth century', Journal of Urban History. Dommenget, D & Yu, Y 2017, 'The effects of remote SST forcings on ENSO dynamics, variability and diversity', Climate Dynamics, vol. 49, no. 7-8, pp. 2605-2624. Dommenget, D. 2016, 'A simple model perturbed physics study of the simulated climate sensitivity uncertainty and its relation to control climate biases', Climate Dynamics, vol. 46, no. 1-2, pp. 427-447. Dommenget, D & Yu, Y 2016, 'The seasonally changing cloud feedbacks contribution to the ENSO seasonal phase-locking', Climate Dynamics, vol. 47, no. 12, pp. 3661-3672. Dommenget, D, Haase, S, Bayr, T & Frauen, C 2014, 'Analysis of the slab ocean El Nino atmospheric feedbacks in observed and simulated ENSO dynamics', Climate Dynamics, vol. 42, no. 11-12, pp. 3187 - 3205. Dommenget, D, Bayr, T & Frauen, C 2013, 'Analysis of the non-linearity in the pattern and time evolution of El Nino southern oscillation', Climate Dynamics, vol. 40, no. 11-12, pp. 2825 - 2847. Dommenget, D 2012, 'Analysis of the model climate sensitivity spread forced by mean sea surface temperature biases', Journal of Climate, vol. 25, no. 20, pp. 7147 - 7162. Dommenget, D 2012, 'Comments on "the relationship between land-ocean surface temperature contrast and radiative forcing"', Journal of Climate, vol. 25, no. 9, pp. 3437 - 3440. Dommenget, D 2011, 'An objective analysis of the observed spatial structure of the tropical Indian Ocean SST variability', Climate Dynamics, vol. 36, pp. 2129 - 2145. Dommenget, D. and J. Floeter : Conceptual Understanding of Climate Change with a Globally Resolved Energy Balance Mode. Climate Dynamics, 37, 11, 2143-2165. Dommenget, D 2010, 'The slab ocean El Nino', Geophysical Research Letters, vol. 37, no. 20, pp. L20701-1 - L20701-5. Dommenget, D & Jansen, M 2009, 'Predictions of Indian ocean SST indices with a simple statistical model: A null hypothesis', Journal of Climate, vol. 22, no. 18, pp. 4930 - 4938. Dommenget, D. : The Ocean’s Role in Continental Climate Change and Variability. J. Climate, 22, 4939-4952. Dommenget, D & Latif, M 2008, 'Generation of hyper climate modes', Geophysical Research Letters, vol. 35, no. 2, pp. 1 - 5. Dommenget, D 2007, 'Evaluating EOF modes against a stochastic null hypothesis', Climate Dynamics, vol. 28, no. 5, pp. 517 - 531. Dommenget, D, Semenov, V & Latif, M 2006, 'Impacts of the tropical Indian and Atlantic Oceans on ENSO', Geophysical Research Letters, vol. 33, no. 11, pp. 1 - 4. Dommenget, D & Stammer, D 2004, 'Assessing ENSO simulations and predictions using adjoint ocean state estimation', Journal of Climate, vol. 17, no. 22, pp. 4301-4315. Dommenget, D & Latif, M 2002, 'A cautionary note on the interpretation of EOFs', Journal of Climate, vol. 15, no. 2, pp. 216-225. Dommenget, D & Latif, M 2002, 'Analysis of observed and simulated SST spectra in the midlatitudes', Climate Dynamics, vol. 19, no. 3-4, pp. 277-288. Dommenget, D & Latif, M 2000, 'Interannual to decadal variability in the tropical Atlantic', Journal of Climate, vol. 13, no. 4, pp. 777-792. Dommenget, D 2000, 'Large-scale SST variability in the midlatitudes and in the tropical Atlantic', Examensarbeit - Max-Planck-Institut fur Meteorologie, no. 76, pp. 1-119. Euskirchen, ES, McGuire, AD, Kicklighter, DW, Zhuang, Q, Clein, JS, Dargaville, RJ, Dye, DG, Kimball, JS, McDonald, KC, Melillo, JM, Romanovsky, VE & Smith, NV 2006, 'Importance of recent shifts in soil thermal dynamics on growing season length, productivity, and carbon sequestration in terrestrial high-latitude ecosystems' Global Change Biology, vol. 12, no. 4, pp. 731-750. Farrelly, M & Conacher, A 2007, 'Integrated, regional, natural resource and environmental planning and the Natural Heritage Trust Phase 2: A case study of the Northern Agricultural Catchments Council, Western Australia' Australian Geographer, vol. 38, no. 3, pp. 309 - 333. Farrelly, M 2005, 'Regionalisation of environmental management: A case study of the natural heritage trust, South Australia' Geographical Research, vol. 43, no. 4, pp. 393 - 405. Frauen, C & Dommenget, D 2012, 'Influences of the tropical Indian and Atlantic Oceans on the predictability of ENSO', Geophysical Research Letters, vol. 39, pp. 1 - 6. Frauen, C & Dommenget, D 2011, 'Erratum: El Niño and La Niña amplitude asymmetry caused by atmospheric feedbacks', Geophysical Research Letters, vol. 38, no. 2, L02805. Frauen, C & Dommenget, D 2010, 'El Nino and la Nina amplitude asymmetry caused by atmospheric feedbacks', Geophysical Research Letters, vol. 37, pp. L18801 - L18806. Freeman, J & Hutchins, B 2016, 'Digital media and local democracy: News media, local governments and civic action', Australian Journalism Review, vol. 38, no. 2, pp. 19-30. Fuso Nerini, F, Dargaville, R, Howells, M & Bazilian, M 2015, 'Estimating the cost of energy access: The case of the village of Suro Craic in Timor Leste' Energy, vol. 79, pp. 385-397. Gallant, A, Karoly, DJ & Gleason, KL 2014, ‘Consistent trends in a modified climate extremes index in the United States, Europe, and Australia’, Journal of Climate, vol. 27, no. 4, pp. 1379 – 1394. Gallant, A & Lewis, S 2016, ‘Stochastic and anthropogenic influences on repeated record-breaking temperature extremes in Australian spring of 2013 and 2014’, Geophysical Research Letters, vol. 43, no. 5, pp. 2182-2191. Gallant, AJE & 21 others 2013, ‘Recent climate and ice-sheet changes in West Antarctica with the past 2,000 years’, Nature Geoscience, vol. 6, p. 372 – 375 4 p.
Gallant, AJE, Reeder, MJ, Risbey, J & Hennessy, KJ 2013, ‘The characteristics of seasonal-scale droughts in Australia, 1911-2009’, International Journal of Climatology, vol. 33, no. 7, pp. 1658- 1672. Gallant, AJE, Phipps, SJ, Karoly, DJ, Mullan, AB & Lorrey, AM 2013, ‘Nonstationary Australasian teleconnections and implications for Paleoclimate reconstructions’, Journal of Climate, vol. 26, no. 22, pp. 8827-8849. Gallant, AJE, Kiem, AS, Verdon-Kidd, DC, Stone, RC & Karoly, DJ 2012, ‘Understanding hydroclimate processes in the Murray-Darling Basin for natural resources management’, Hydrology and Earth System Sciences, vol. 16, p. 2049 – 2068. Gallant, AJE & Gergis, J 2011, ‘An experimental streamflow reconstruction for the River Murray, Australia, 1783-1988’, Water Resources Research, vol. 47, pp. 1-15. Gallant, AJE & Karoly, DJ 2010, ‘A combined climate extremes index for the Australian region’, Journal of Climate, vol. 23, pp. 6153-6165. Gallant, AJE & Karoly, DJ 2009, ‘Atypical influence of the 2007 La Nina on rainfall and temperature in southeastern Australia’, Geophysical Research Letters, vol. 36, pp. 1-4. Gallant, AJE, Hennessy, K J & Risbey, J 2007, ‘Trends in rainfall indices for six Australian regions: 1910-2005’, Australian Meteorological Magazine, vol. 56, pp. 223-239. Geels, C, Gloor, M, Ciais, P, Bousquet, P, Peylin, P, Vermeulen, AT, Dargaville, R, Aalto, T, Brandt, J, Christensen, JH, Frohn, LM, Haszpra, L, Karstens, U, Rödenbeck, C, Ramonet, M, Carboni, G & Santaguida, R 2007, 'Comparing atmospheric transport models for future regional inversions over Europe - Part 1: Mapping the atmospheric CO2 signals' Atmospheric Chemistry and Physics, vol. 7, no. 13, pp. 3461-3479. Geels, C, Doney, SC, Dargaville, R, Brandt, J & Christensen, JH 2004, 'Investigating the sources of synoptic variability in atmospheric CO2 measurements over the Northern Hemisphere continents: A regional model study' Tellus, Series B: Chemical and Physical Meteorology, vol. 56, no. 1, pp. 35-50. Gergis, J, Gallant, A, Braganza, K, Karoly, D, Allen, K, Cullen, L, D’Arrigo, R, Goodwin, I, Grierson, P & McGregor, S 2012, ‘On the long-term context of the 1997-2009 ‘Big Dry’ in South-Eastern Australia: insights from a 206-year multi-proxy rainfall reconstruction’, Climatic Change, vol. 111, pp. 923-944. Gergis, JL, Neukom, R, Gallant, A & Karoly, DJ 2016, ‘Australasian temperature reconstructions spanning the last millennium,’ Journal of Climate, vol. 29, no. 15, pp. 5365-5392. Gimelli, FM, Bos, JJ & Rogers, BC 2018, 'Fostering equity and wellbeing through water: A reinterpretation of the goal of securing access' World Development, vol. 104, pp. 1-9. Gimelli, FM, Rogers, BC & Bos, JJ 2018, 'The Quest for Water, Rights and Freedoms: Informal Urban Settlements in India' International Journal of Urban and Regional Research, vol. 42, no. 6, pp. 1080-1095. Grotzner, A, Latif, M & Dommenget, D 2000, 'Atmospheric response to sea surface temperature anomalies during El Nino 1997/98 as simulated by ECHAM4', Quarterly Journal of the Royal Meteorological Society, vol. 126, no. 567, pp. 2175-2198. Hannachi, A & Dommenget, D 2009, 'Is the Indian Ocean SST variability a homogeneous diffusion process? ', Climate Dynamics, vol. 33, no. 4, pp. 535 - 547.
Henley, BJ, Meehl, GA, Power, SB, Folland, CK, King, AD, Brown, JN, Karoly, DJ, Delage, F, Gallant, A, Freund, M & Neukom, R 2017, ‘Spatial and temporal agreement in climate model simulations of the interdecadal pacific oscillation’, Environmental Research Letters. 23 p.
Hutchins, B 2016, ‘The Many Modalities of Social Networking: The Role of Twitter in Greens Politics’, Environmental Communication, vol. 10, no. 1, pp. 25-42. Hutchins, B & Lester, L 2015, ‘Theorizing the Enactment of Mediatized Environmental Conflict’, International Communication Gazette, vol. 77, no. 4, pp. 337-58. Hutchins, B & Lester, L 2006, ‘Environmental Protest and Tap-Dancing with the Media in the Information Age’, Media, Culture & Society, vol. 28, no. 3, pp. 433-451. Huva, R, Dargaville, R & Rayner, P 2016, 'Optimising the deployment of renewable resources for the Australian NEM (National Electricity Market) and the effect of atmospheric length scales', Energy, vol. 96, pp. 468-473. Huva, R, Dargaville, R & Rayner, P 2015, 'Influential synoptic weather types for a future renewable energy dependent national electricity market' Journal of Southern Hemisphere Earth Systems Science, vol. 65, no. 3-4, pp. 342-355. Huva, R, Dargaville, R & Rayner, P 2015, 'The impact of filtering self-organizing maps: A case study with Australian pressure and rainfall' International Journal of Climatology, vol. 35, no. 4, pp. 624-633. Huva, R, Dargaville, R & Caine, S 2012, 'Prototype large-scale renewable energy system optimisation for Victoria, Australia' Energy, vol. 41, no. 1, pp. 326-334. Illesinghe, SJ, Manasseh, R, Dargaville, R & Ooi, A 2017, 'Idealized design parameters of Wave Energy Converters in a range of ocean wave climates', International Journal of Marine Energy, vol. 19, pp. 55-69. Jansen, M, Dommenget, D & Keenlyside, N 2009, 'Tropical atmosphere - Ocean interactions in a conceptual framework', Journal of Climate, vol. 22, no. 3, pp. 550 - 567. Jeppesen, M, Brear, MJ, Chattopadhyay, D, Manzie, C, Dargaville, R & Alpcan, T 2016, 'Least cost, utility scale abatement from Australia's NEM (National Electricity Market). Part 1: Problem formulation and modelling', Energy, vol. 101, pp. 606-620. Johnstone, P, Adamowicz, R, de Haan, FJ, Ferguson, BC, Ewert, JM, Brown, RR & Wong, THF2013, 'Linking urban water management to urban liveability: How better management and use of alternative water sources can improve urban amenity' Water: Journal of the Australian Water Association, vol. 40, no. 2, pp. 112 - 116. Keenlyside, N & Dommenget, D 2016, 'The fingerprint of global warming in the Tropical Pacific', Advances in Atmospheric Sciences, vol. 33, no. 4, pp. 533-534. Klekociuk, AR, Tully, MB, Alexander, SP, Dargaville, RJ, Deschamps, LL, Fraser, PJ, Gies, HP, Henderson, SI, Javorniczky, J, Krummel, PB, Petelina, SV, Shanklin, JD, Siddaway, JM & Stone, KA 2011, 'The Antarctic ozone hole during 2010' Australian Meteorological & Oceanographic Journal, vol. 61, no. 4, pp. 253-267. Lam, C, Gallant, A & Tapper, N 2016, ‘Perceptions of thermal comfort in heatwave and non-heatwave conditions in Melbourne, Australia’, Urban Climate, pp. 1-15. Latif, M, Dommenget, D, Dima, M & Grötzner, A 1999, 'The role of Indian Ocean sea surface temperature in forcing east African rainfall anomalies during December-January 1997/98', Journal of Climate, vol. 12, no. 12, pp. 3497-3504. Lester, L & Hutchins, B 2012, ‘Journalism, the Environment and the New Media Politics of Invisibility’, Australian Journalism Review, vol. 34, no. 2, pp. 19-31. Lester, L & Hutchins, B 2012, ‘The Power of the Unseen: Environmental Conflict, the Media and Invisibility’, Media, Culture & Society, vol. 34, no. 7, pp. 847-863. Lester, L & Hutchins, B 2012, ‘Soft Journalism, Politics and Environmental Reporting: An Australian Story’, Journalism: Theory, Practice & Criticism, vol. 13, no. 5, pp. 654-667. Lester, L & Hutchins, B 2009, ‘Power Games: Environmental Protest, News Media and the Internet’, Media, Culture & Society, vol. 31, no. 4, pp. 579-595. Li, P, Dargaville, R, Cao, Y, Li, D-Y & Xia, J 2017, 'Storage Aided System Property Enhancing and Hybrid Robust Smoothing for Large-Scale PV Systems' IEEE Transactions on Smart Grid, vol. 8, no. 6, 7572086, pp. 2871-2879. Li, P, Dargaville, R, Liu, F, Xia, J & Song, YD 2015, 'Data-Based Statistical Property Analyzing and Storage Sizing for Hybrid Renewable Energy Systems' IEEE Transactions on Industrial Electronics, vol. 62, no. 11, pp. 6996-7008. Lidberg, JKE 2018, 'Australian media coverage of two pivotal climate change summits: A comparative study between COP15 and COP21', Pacific Journalism Review, vol. 24, no. 1, pp. 70-86. López-Parages, J, Rodríguez-Fonseca, B, Dommenget, D & Frauen, C 2017, 'Erratum to: ENSO influence on the North Atlantic European climate: a non-linear and non-stationary approach, Climate Dynamics, vol. 47, no. 7-8, pp. 2071-2084. López-Parages, J, Rodríguez-Fonseca, B, Dommenget, D & Frauen, C 2016, 'ENSO influence on the North Atlantic European climate: a non-linear and non-stationary approach', Climate Dynamics, vol. 47, no. 7-8, pp. 2071-2084. Lorbacher, K, Dommenget, D, Niiler, PP & Kohl, A 2006, 'Ocean mixed layer depth: A subsurface proxy of ocean-atmosphere variability', Journal of Geophysical Research, vol. 111, no. 7, pp. 1 - 22. Luo, J-J, Wang, G & Dommenget, D 2018, 'May common model biases reduce CMIP5’s ability to simulate the recent Pacific La Niña-like cooling? ', Climate Dynamics, vol. 50, no. 3-4, pp. 1335-1351. McGregor, S, Sen Gupta, A, Dommenget, D, Lee, T, Mcphaden, MJ & Kessler, WS 2017, 'Factors influencing the skill of synthesized satellite wind products in the tropical Pacific', Journal of Geophysical Research: Oceans, vol. 122, no. 2, pp. 1072–1089. McGuire, AD, Sitch, S, Clein, JS, Dargaville, R, Esser, G, Foley, J, Heimann, M, Joos, F, Kaplan, J, Kicklighter, DW, Meier, RA, Melillo, JM, Moore, B, Prentice, IC, Ramankutty, N, Reichenau, T, Schloss, A, Tian, H, Williams, LJ & Wittenberg, U 2001, 'Carbon balance of the terrestrial biosphere in the twentieth century: Analyses of CO2, climate and land use effects with four process-based ecosytem models' Global Biogeochemical Cycles, vol. 15, no. 1, pp. 183-206. Metzl, N, Tilbrook, B, Bakker, D, Le Quéré, C, Doney, S, Feely, R, Hood, M & Dargaville, R 2007, 'Global changes in ocean carbon: Variability and vulnerability' Eos, vol. 88, no. 28. Milner, AJ 2018, 'Reviewed Work(s): Metamorphoses of Science Fiction: On the Poetics and History of a Literary Genre by Darko Suvin and Gerry Canavan: Dystopia, Science Fiction, Postapocalypse: Classics—New Tendencies—Model Interpretations by Eckart Voigts and Alessandra Boller' Utopian Studies, vol. 29, no. 3, pp. 421-429. Milner, AJ & Milner, JRB 2018, 'A Short Pre-History of Climate Fiction' Extrapolation, vol. 59, no. 1, pp. 1-23. Milner, AJ 2017, 'İklimi Deǧiştirmek: Distopya Siyaseti' Doǧu Bati , no. 80, pp. 265-282. Milner, AJ 2015, 'Science fiction and the literary field [La science-fiction et le champ litteraire]' ReS Futurae: revue d'etudes sur la science-fiction, vol. 115, pp. 393 - 411. Milner, A 2009, ‘Changing the Climate: the Politics of Dystopia’, Continuum: Journal of Media and Cultural Studies, vol. 23, no. 6, pp. 827-838. Moglia, M, Podkalicka, AM & McGregor, J 2018, 'An Agent-Based Model of Residential Energy Efficiency Adoption' Journal of Artificial Societies and Social Simulation, vol. 21, no. 3, pp. 1-27. Moller, J, Dommenget, D & Semenov, V 2008, 'The annual peak in the SST anomaly spectrum', Journal of Climate, vol. 21, no. 12, pp. 2810 - 2823. Morgan, RA 2018, 'Dry Continent Dreaming: Australian Visions of Using Antarctic Icebergs for Water Supplies', International Review of Environmental History, vol. 4, no. 1, pp. 1-9. Morgan, RA & Antonello, A 2018, 'Making and unmaking bodies: embodying knowledge and place in environmental history', International Review of Environmental History, vol. 4, no. 1, pp. 55-67. Morgan, RA 2017, 'AHS classics: Rural history and environmental history', Australian Historical Studies, vol. 48, no. 4, pp. 554-568. Morgan, RA 2017, 'The Allure of Climate and Water Independence: Desalination Projects in Perth and San Diego', Journal of Urban History, pp. 1-16. Morgan, RA 2017, 'The Anthropocene as Hydro-Social Cycle: Histories of Water and Technology for the Age of Humans', ICON, vol. 23, pp. 37-53. Morgan, R & Beattie, J 2017, ‘Engineering Edens on the “Rivered Earth”? A review of water management and hydro-resilience in the British Empire, 1860s-1940s’, Environment and History, vol. 23, no. 1, pp. 39-62. Morgan, R 2015, ‘Ghosts of the water dreamers: water histories between the desert and the sea’, Griffith Review, vol. 47, pp. 172-80. Morgan, R 2014, ‘Imagining a greenhouse future: scientific and literary depictions of climate change in 1980s Australia’, Australian Humanities Review, no. 57, pp. 43-60. Morgan, R 2013, ‘Western Australia and the Indian Ocean: a land looking west?’, Studies in Western Australian History, vol. 28, pp. 1-12. Morgan, R 2013, Histories for an uncertain future: environmental history and climate change’, Australian Historical Studies, vol. 44, no. 3, pp. 350-60. Morgan, R & Smith, JL 2013, ‘Pre-modern streams of thought in twenty-first century water management’, Radical History Review, no. 116, pp. 105-29. Morgan, R 2011, ‘Diagnosing the dry: historical case notes from south-west Western Australia, 1945-2007’, in J Fleming & V Jankovic (eds. ), Osiris, vol. 26, pp. 89-108. Morgan, R 2011, ‘Dry horizons: exploring the responses of Western Australian water managers to the enhanced greenhouse effect in the late 1980s’, History Australia, vol. 8, no. 3, pp. 158-76. Morgan, R 2011, ‘A thirsty city: an environmental history of water supply and demand in 1970s Perth’, in A Gaynor & J Davis (eds. ), Studies in Western Australian History, vol. 27, pp. 81-97. Morgan, R 2010, ‘“Fear the hose”: an historical exploration of sustainable water use in Perth gardens, 1970s’, Transforming Cultures eJournal, vol. 5, no. 1. Novalia, W, Brown, RR, Rogers, BC & Bos, JJ 2018, 'A diagnostic framework of strategic agency: Operationalising complex interrelationships of agency and institutions in the urban infrastructure sector' Environmental Science and Policy, vol. 83, pp. 11-21. Phipps, SJ, McGregor, HV, Gergis, J, Gallant, AJE, Neukom, R, Stevenson, S, Ackerley, D, Brown, J, Fischer, M & van Ommen, T 2013, ‘Paleoclimate data-model comparison and the role of climate forcings over the past 1500 years’, Journal of Climate, vol. 26, no. 18, pp. 6915 – 6936. Pierce, DW, Barnett, TP, Schneider, N, Saravanan, R, Dommenget, D & Latif, M 2001, 'The role of ocean dynamics in producing decadal climate variability in the North Pacific', Climate Dynamics, vol. 18, no. 1-2, pp. 51-70. Podkalicka, A, Meredyth, D, MacKenzie, D, Rennie, E, Staley, J, Thomas, J, Wilson, C 2013, ‘Youthworx media: youth media and social enterprise as intervention and innovation’, Australian Research Council, Melbourne, Australia. Pookkandy, B, Dommenget, D, Klingaman, N, Wales, S, Chung, C, Frauen, C & Wolff, H 2016, 'The role of local atmospheric forcing on the modulation of the ocean mixed layer depth in reanalyses and a coupled single column ocean model', Climate Dynamics, vol. 47, no. 9-10, pp. 2991-3010. Radel, G, Mauritsen, T, Stevens, B, Dommenget, D, Matei, D, Bellomo, K & Clement, A, 2016, 'Amplification of El Niño by cloud longwave coupling to atmospheric circulation', Nature Geoscience, vol. 9, no. 2, pp. 106-110. Rauch, W, Urich, C, Bach, PM, Rogers, BC, de Haan, FJ, Brown, RR, Mair, M, McCarthy, DT, Kleidorfer, M, Sitzenfrei, R & Deletic, A 2017, 'Modelling transitions in urban water systems' Water Research, vol. 126, pp. 501-514. Rayner, PJ, Law, RM & Dargaville, R 1999, 'The relationship between tropical CO2 fluxes and the El Niño-Southern Oscillation' Geophysical Research Letters, vol. 26, no. 4, pp. 493-496. Reid, AD 2013, ‘Normalising catastrophe in environmental discourse: on educational values, responses and critical imagination’, Environmental Education Research, vol. 19, no. 2, pp. 154-160. Reid, AD 2013, ‘Editorial: Environmental education research: towards and beyond passionate, scholarly conversation’, Environmental Education Research, vol. 19, no. 2, pp. 147-53. Reid, A & Payne, P 2011, ‘Producing knowledge and (de)constructing identities: a critical commentary on environmental education and its research’, British Journal of Sociology of Education, Vol. 32, no. 1, pp. 155-165. Reid, A, Payne, PG & Cutter-Mackenzie, AN 2010, ‘Openings for researching environment and place in children’s literature: ecologies, potentials, realities and challenges’, Environmental Education Research, vol. 16, nos. 3 & 4, pp. 429-461. Reid, AD 2009, ‘Environmental education research: will the ends outstrip the means?,’ Environmental Education Research, vol. 15, no. 2, pp. 129-153. Rogers, BC, Brown, RR, de Haan, FJ & Deletic, A 2015, 'Analysis of institutional work on innovation trajectories in water infrastructure systems of Melbourne, Australia' Environmental Innovation and Societal Transitions, vol. 15, pp. 42 - 64. Rogers, BC, Brown, RR & Deletic, A 2013, 'A diagnostic procedure for transformative change based on transitions, resilience and institutional thinking' Ecology and Society, vol. 18, no. 4, pp. 57 - 76. Rogers, BC, Frantzeskaki, N & Brown, RR 2013, 'A strategic program for transitioning to a Water Sensitive City' Landscape and Urban Planning, vol. 117, pp. 32 - 45. Rogers, BC, Brown, RR & Deletic, A 2013, 'Diagnosing transformative change in urban water systems: Theories and frameworks' Global Environmental Change, vol. 23, no. 1, pp. 264 - 280. Rogers, BC, Brown, RR, Frantzeskaki, N, de Haan, FJ & Deletic, A 2013, 'The enabling institutional context for integrated water management: Lessons from Melbourne' Water Research, vol. 47, no. 20, pp. 7300 - 7314. Rogers, B & Mudd, G 2011, 'Water quality, water management and the ranger uranium project: guidelines, trends and issues' Water Air and Soil Pollution, vol. 217, pp. 347 - 363. Santoso, A, Cai, W, Collins, M, McPhaden, M, Jin, F-F, Guilyardi, E, Vecchi, G, Dommenget, D & Wang, G 2015, 'Enso extremes and diversity: dynamics, teleconnections, and impacts', Bulletin of the American Meteorological Society, vol. 96, no. 11, pp. 1969-1972. Schreiber, M, Wainstein, ME, Hochloff, P & Dargaville, R 2015, 'Flexible electricity tariffs: Power and energy price signals designed for a smarter grid' Energy, vol. 93, pp. 2568-2581. Semenov, V, Latif, M, Dommenget, D, Keenlyside, N, Strehz, A, Martin, T & Park, W 2010, 'The impact of North Atlantic-Arctic multidecadal variability on northern hemisphere surface air temperature', Journal of Climate, vol. 23, no. 21, pp. 5668 - 5677. Siddaway, JM, Petelina, SV, Karoly, DJ, Klekociuk, AR & Dargaville, RJ 2013, 'Evolution of Antarctic ozone in September-December predicted by CCMVal-2 model simulations for the 21st century' Atmospheric Chemistry and Physics, vol. 13, no. 8, pp. 4413-4427. Sitzenfrei, R, Rauch, W, Rogers, B, Dawson, R & Kleidorfer, M 2014, 'Editorial: Modeling the urban water cycle as part of the city' Water Science and Technology, vol. 70, no. 11, pp. 1717-1720. Tully, MB, Klekociuk, AR, Alexander, SP, Dargaville, RJ, Deschamps, LL, Fraser, PJ, Gies, HP, Henderson, SI, Javorniczky, J, Krummel, PB, Petelina, SV, Shanklin, JD, Siddaway, JM & Stone, KA 2011, 'The Antarctic ozone hole during 2008 and 2009' Australian Meteorological & Oceanographic Journal, vol. 61, no. 1, pp. 77-90. Tyrrell, N, Dommenget, D, Frauen, C, Wales, S & Rezny, M 2015, 'The influence of global sea surface temperature variability on the large-scale land surface temperature', Climate Dynamics, vol. 44, no. 7-8, pp. 2159-2176. Van de Meene, S, Brown, R & Farrelly, M 2010, 'Capacity attributes of future urban water management regimes: projections from Australian sustainability practitioners' Water Science and Technology, vol. 61, no. 9, pp. 2241 - 2250. Van de Meene, SJ & Brown, RR 2009, 'Delving into the "institutional black Box": Revealing the attributes of sustainable urban water management regimes' Journal of the American Water Resources Association, vol. 45, no. 6, pp. 1448 - 1464. Van de Meene, SJ, Brown, RR & Farrelly, M 2009, 'Exploring sustainable urban water governance: a case study of institutional capacity' Water Science and Technology, vol. 59, no. 10, pp. 1921 - 1928.
van Rensch, P, Gallant, AJE, Cai, W & Nicholls, N 2015, ‘Evidence of local sea surface temperatures overriding the southeast Australian rainfall response to the 1997-1998 El Nino’, Geophysical Research Letters, vol. 42, no. 21, pp. 9449-9456. Vance, TR, Roberts, JL, Moy, AD, Curran, MAJ, Tozer, CR, Gallant, A, Abram, NJ, Van Ommen, TD, Young, DA, Grima, C, Blankenship, DD & Siegert, MJ 2016, ‘Optimal site selection for a high-resolution ice core record in East Antarctica’, Climate of the Past, vol. 12, no. 3, pp. 595-610. Wang, G & Dommenget, D 2016, 'The leading modes of decadal SST variability in the Southern Ocean in CMIP5 simulations', Climate Dynamics, vol. 47, no. 5, pp. 1775-1792. Wright, A, Walker, JP, Robertson, DE & Pauwels, VRN 2017, 'A comparison of the discrete cosine and wavelet transforms for hydrologic model input data reduction', Hydrology and Earth System Sciences, vol. 21, no. 7, pp. 3827-3838. Yim, BY, Yeh, S-W, Song, HJ, Dommenget, D & Sohn, BJ 2017, 'Land-sea thermal contrast determines the trend of Walker circulation simulated in atmospheric general circulation models', Geophysical Research Letters, vol. 44, no. 11, pp. 5854-5862. Yu, Y, Dommenget, D, Frauen, C, Wang, G & Wales, S 2016, 'ENSO dynamics and diversity resulting from the recharge oscillator interacting with the slab ocean', Climate Dynamics, vol. 46, no. 5-6, pp. 1665-1682. Zhou, X, James, GC, Liebman, A, Dong, ZY & Ziser, CJ 2010, 'Partial carbon permits allocation of potential emission trading scheme in Australian electricity market' IEEE Transactions on Power Systems, vol. 25, no. 1, pp. 543 - 553. Zhuang, Q, McGuire, AD, Melillo, JM, Clein, JS, Dargaville, RJ, Kicklighter, DW, Myneni, RB, Dong, J, Romanovsky, VE, Harden, J & Hobbie, JE 2003, 'Carbon cycling in extratropical terrestrial ecosystems of the Northern Hemisphere during the 20th century: A modeling analysis of the influences of soil thermal dynamics' Tellus, Series B: Chemical and Physical Meteorology, vol. 55, no. 3, pp. 751-776. Milner, A 2014, ‘Science Fiction and Climate Change’, Hullabaloo, Three Triple R Radio, 12 November. Beck, LE, Brown, RR, Chesterfield, CJ, Dunn, GO, de Haan, FJ, Lloyd, S, Rogers, BC, Urich, CH& Wong, THF 2016, Beyond benchmarking: a water sensitive cities index. in Proceedings of Ozwater 2016. Australian Water Association, Melbourne, Australia, Australian Water Association Convention - Ozwater 2016, Melbourne, Australia, 10/05/16. Bettini, YH, Wong, T (ed. ), Farrelly, M, McCarthy, D (ed. ), de Haan, FJ & Brown, RR 2012, 'Achieving water sensitive cities: Institutions as building blocks of collective action' International Conference on Water Sensitive Urban Design 2012, Melbourne, Australia, 21/02/12 - 23/02/12, pp. 1 - 8.
, Falmer, Brighton, United Kingdom, 25/08/15." Bos, JJ, Brown, RR, Farrelly, M & de Haan, FJ 2012, Governance experimentation: A descriptive analysis of translating sustainable urban water management in practice. in T Wong & D McCarthy (eds), Proceedings of the 7th International Conference on Water Sensitive Urban Design. Engineers Australia, Barton ACT Australia, pp. 1 - 8, International Conference on Water Sensitive Urban Design 2012, Melbourne, Australia, 21/02/12. Brodnik, C, Holden, J, Marino Zamudio, RA, Wright, A, Copa Torrez, V, Rogers, BC, Arifin, H, Brown, R, Djaja, K, Farrelly, M, Kaswanto, R, Marsudiantoro, D, Marthanty, D, Maryonoputri, L, Payne, E, Purwanto, M, Ramirez-Lovering, D, Suharnoto, Y, Sumabrata, J, Suwarso, R, Syaukat, Y, Urich, C & Yuliantoro, D 2017, Jumping to the Top: Catalysts for Leapfrogging to a Water Sensitive City. in 3rd International Symposium for Sustainable Landscape Development. 3rd International Symposium for Sustainable Landscape Development, Bogor, Indonesia, 14/11/17. Brown, RR, Rogers, BC & Werbeloff, L 2016, Developing a Strategic Water Sensitive City Transition Plan. in Proceedings of OzWater 2016, 10-12 May, Melbourne, Australia. Australian Water Association Convention - Ozwater 2016, Melbourne, Australia, 10/05/16. Brown, RR, Rogers, BC & Werbeloff, L 2016, Developing a Water Sensitive City Leapfrogging Program. in Proceedings of the 7th Singapore International Water Week. Singapore International Water Week 2016, Singapore, 10/07/16. Brown, RR & Farrelly, M 2008, Sustainable Urban Stormwater Management in Australia: Professional Perceptions on Institutional Drivers and Barriers. in R Ashley (ed. ), Conference Proceedings: 11th International Conference on Urban Drainage.Iwa Publishing, Edinburgh Uk, pp. CD Rom - CD Rom, International Conference on Urban Drainage 2008, UK, 1/01/08. Brown, RR & Farrelly, M 2007, Barriers to Advancing Sustainable Urban Water Management: a typology. in Rainwater and Urban Design 2007 CD-Rom proceedings. vol. CD-ROM, Engineers Australia, Sydney Australia, pp. 1 - 11, International Conference on Water Sensitive Urban Design 2007, Sydney Australia, 1/01/07. de Haan, FJ, Rogers, BC, Deletic, A & Brown, RR 2012, Exploring scenarios for urban water systems using a socio-technical model. in D Prodanovic & J Plavsic (eds), Urban Drainage Modelling: Extended Abstracts of the Ninth International Conference on Urban Drainage Modelling, Belgrade, Serbia, 4-6 September 2012. Faculty of Civil Engineering, University of Belgrade, Belgrade Serbia, pp. 1 - 10, International Conference on Urban Drainage 2012, Belgrade, Serbia, 4/09/12. Duncan-Horner, EM, Farrelly, M & Rogers, BC 2016, Urban Water Transformations: Can social innovations and entrepreneurships transform governance and citizenship in developing cities?in S Novri & A Sulikah (eds), Proceeding Re-Examining Governance: Strengthening Citizenship in a Changing World: International Conference on Contemporary Social and Political Affair 2016. vol. ICoCSPA 2016, 24, Indonesia, pp. 160-170. Farrelly, M & Bos, JJ 2016, Applying the Sustainability Experiments Evaluation Framework to an Australian case study: Officer, Melbourne. in International Proceedings of the Sustainability Transitions Conference 2016. Wuppertal, Germany, International Sustainability Transitions Conference 2016, Wuppertal, Germany, 6/09/16. Farrelly, M & Brown, RR 2008, Professional Perceptions on Institutional Drivers and Barriers to Advancing Diverse Water Options in Australia. in R Ashley (ed. ), Conference Proceedings: 11th International Conference on Urban Drainage. Iwa Publishing, Edinburgh UK, pp. CD Rom - CD Rom, International Conference on Urban Drainage 2008, UK, 1/01/08. Gimelli, FM, Rogers, BC & Bos, JJ 2018, Fostering political participation for better water services: evidence from three cities in India. in Proceedings of the 23rd International Sustainable Development Research Society Conference. Bogota, Colombia, International Sustainable Development Research Society Conference 2017, Bogotá, Colombia, 14/06/17. Gimelli, FM, Rogers, BC & Bos, JJ 2016, Do urban water development initiatives engage participants in the development of their capabilities? Reflections from India. in Proceedings of the 22nd International Sustainable Development Research Society Conference. Lisbon, Portugal, International Sustainable Development Research Society Conference 2016, Lisbon, Portugal, 11/07/16. Gunn, AW, Church, EK, Lindsay, JM, Fielding, K, Hammer, K, Rogers, BC & Chesterfield, CJ 2018, Engaging citizens in water sensitive city transitions: Lessons from Bendigo, Victoria. in Proceedings of Ozwater 2018. Australian Water Association. Hammer, K, Rogers, BC, Chesterfield, CJ, Gunn, AW & Church, EK 2018, Empowering champions to drive water sensitive city transitions. in Proceedings of OzWater 2018. Australian Water Association, Sydney NSW, Australian Water Association Convention - Ozwater, 1/01/50. Holmes, D 2016, ‘The role of social media in environmental and climate change communication — an international perspective’, paper presented at International Conference on Society and Politics: The challenges of social sciences in a changing world, 26-27 January, The Faculty of Social and Political Science, Universitas Muhammadiyah, Yogyakarta. Holmes, D 2016, ‘Social Media and the Construction of an Environmental Public Sphere in Australia and Indonesia’, paper presented at the Asian Congress for Media and Communication, International Conference on the Changing Power Structures of Communication: Shifting Notions of Authority and Influence, 27-29 Octobe, Universitas Muhammadiyah, Yogyakarta. Holmes, D 2013, ‘The Tabloidization of Climate Change’, paper presented at Four Round Conference: Media Engagement: East and West, 8-11 May, Hong Kong Baptist University, Hong Kong. Holmes, D 2012, ‘Convergence and Media Concentration in Australia’, paper presented at Managing the Media: Policy, Regulation and Engagement Four Round International Conference in Communications and Media, 12-13 April, Monash University. Holmes, D 2010, ‘Learning from Venus: The Dystopian Humanism of James Hansen’s Climate Science’, paper presented at Changing the Climate: Utopia, Dystopia and Catastrophe, Fourth Australian Conference on Utopia, Dystopia and Science Fiction, 30 August-1 September, Centre for Comparative Literature and Cultural Studies, Monash University. Holmes, D 2010, ‘Global Capitalism and the Problem of Climate Change Inertia, paper presented at The Australian Sociological Association Annual Conference, 6-8 December, Macquarie University, Sydney. Illesinghe, SJ, Manasseh, R, Dargaville, R & Ooi, A 2014, Ocean wave energy converter performance at a specific geographical location. in Proceedings of the 19th Australasian Fluid Mechanics Conference, AFMC 2014. Australasian Fluid Mechanics Society, Australasian Fluid Mechanics Conference 2014, Melbourne, Australia, 8/12/14. Milner, A 2016, ‘Science Fiction and Climate Change’, Historical Materialism Conference, 25-26 November, University of Sydney. Milner, A 2016, ‘Science Fiction and Climate Change’, Historical Materialism Conference, School of Oriental and African Studies, 10-13 November, University of London. Milner, A 2016, ‘Eutopia, Dystopia and Climate Change’, European Utopian Studies Society Conference, 5-9 July, University of Lisbon. Milner, A 2016, ‘Plenary Lecture: Science Fiction and Climate Change’, Annual Conference of the Science Fiction Research Association, 28-30 June, University of Liverpool. Milner, A 2014, ‘Ice, Fire and Flood: Science, Science Fiction and Climate Change’ Cultural Studies Association of Australasia Conference, 3-5 December, University of Wollongong. Milner, A 2013, ‘The Sea and Summer: Utopia as Futurology’, North American Society for Utopian Studies Conference, 14-17 November, College of Charleston, South Carolina. Milner, A 2013, ‘The Sea and Summer: Utopia as Futurology’, European Utopian Studies Society Conference, 1-4 July, New Lanark. Milner, A 2012, ‘The Sea and Eternal Summer: Science Fiction, Futurology and Climate Change’, Association for the Study of Literature, Environment and Culture (Australia-New Zealand) Conference, 31 August-1 September, RMIT University/Monash University, Melbourne. Milner, A 2012, ‘The Sea and Eternal Summer: Science Fiction, Futurology and Climate Change’, Symposium on Vulnerability, Adaptation, and Climate Justice’, 21 August, University of Sydney. Milner, A 2012, ‘Drowning Towers: An Antipodean Apocalypse’, Apocalypse: Imagining the End Conference, 18-20 July, Harris Manchester College, Oxford. Milner, A 2010, ‘From the Beach to the Sea: Two Paradigmatic Australian Dystopias’, Changing the Climate: Utopia, Dystopia and Catastrophe Conference, 30 August-1 September, Monash University. Milner, A 2010, ‘From the Beach to the Sea: Two Paradigmatic Australian Dystopias’, European Utopian Studies Society Conference, , 7-10 July, Maria Curie-Sklodowska University Lublin. Milner, A 2009, ‘Changing the Climate: The Politics of Dystopia’, SocioAesthetics: A Symposium on Aesthetics, Culture and Social Life, 23-25 August, University of Copenhagen. Milner, A 2009, ‘Changing the Climate: The Politics of Dystopia’, Keynote Address, Annual Conference of the Australasian Association for Literature, 6-7 July, University of Sydney. Milner, A 2009, ‘Changing the Climate: The Politics of Dystopia’, presented at the European Utopian Studies Society Conference, 1-4 July, University of Porto. Morgan, R 2012, ‘“Our most precious mineral”: water for Perth, Western Australia, in the 1970s resource boom’, in J Gregory, A Gaynor & S McQuade (eds. ), Urban Transformations: Proceedings of the 11th Urban History Planning History Conference, Perth. Rauch, W, Prodanovic, D (ed. ), Bach, PM, Plavsic, J (ed. ), Brown, RR, Deletic, A, Rogers, BC, de Haan, FJ, McCarthy, DT, Kleidorfer, M, Tapper, NJ, Sitzenfrei, R & Urich, C 2012, 'Modelling transitions in urban drainage management' International Conference on Urban Drainage 2012, Belgrade, Serbia, 4/09/12 - 6/09/12, pp. 1 - 2. Reid, A 2017, ‘Towards an ABC of what matters in research about climate change education’, 10 May, Stanford University. Reid, A 2016, ‘Affect and climate change education’, New Zealand Association for Environmental Education, 11 Feb, Auckland. Reid, A 2015, ‘Nobody ever rioted for austerity’, paper presented at Education, Research and the Climate Change Debate, American Education Research Association, 17 April, Chicago. Reid, A 2010, ‘After Copenhagen, after competence’, paper presented at Education, Student Participation and the Climate Change Debate, 16 June, Southern Cross University. Reid, A 2010, ‘Education and the climate change debate’, paper presented at Rhetorics and Realities, 15 June, Griffith University. Rogers, BC, Arnbjerg-Nielsen, K, Bertram, N, Gunn, AW, Lowe, R, Murphy, CLS, Pasman, R, Radhakrishnan, M, Urich, CH & Wong, THF 2016, An integrated approach to enhancing urban flood resilience in Elwood, Melbourne. in Proceedings of Ozwater 2016. Australian Water Association, Melbourne, Australia, Australian Water Association Convention - Ozwater 2016, Melbourne, Australia, 10/05/16. Rogers, BC, Wong, T (ed. ), de Haan, FJ, McCarthy, D (ed. ), Brown, RR & Deletic, A 2012, 'Testing a strategic action framework: Melbourne's transition to WSUD' International Conference on Water Sensitive Urban Design 2012, Melbourne, Australia, 21/02/12 - 23/02/12, pp. 1 - 8. Van de Meene, SJ, Brown, RR & Farrelly, M 2009, Characteristics of a more sustainable urban water management regime: insights from two Australian cities. in M Mouritz (ed. ), Towards Water Sensitive Cities and Citizens. Engineers Australia, Perth, Australia, pp. 184 - 192, International Conference on Water Sensitive Urban Design 2009, Perth WA Australia, Australia, 5/05/09. Van de Meene, SJ, Brown, RR & Farrelly, M 2009, Investigating sustainable urban water management regimes: What tools are available to help? in M Mouritz (ed. ), Towards Water Sensitive Cities and Citizens. Engineers Australia, Perth, Australia, pp. 307 - 315, International Conference on Water Sensitive Urban Design 2009, Perth WA Australia, Australia, 5/05/09. Van de Meene, SJ 2008, Institutional Capacity Attributes of Sustainable Urban Wateer Management: teh Case of Sydney Australia. in R Ashley (ed. ), Conference Proceedings: 11th International Conference on Urban Drainage. Iwa Publishing, Edinburgh UK, pp. CD Rom - CD Rom, International Conference on Urban Drainage 2008, UK, 1/01/08. Van de Meene, SJ & Brown, RR 2007, Towards an institutional capacity assessment framework for sustainable urban water management. in PJ Coombes (ed. ), Rainwater and Urban Design Conference 2007. vol. CD-ROM, Engineers Australia, Sydney Australia, pp. 1 - 8, International Conference on Water Sensitive Urban Design 2007, Sydney Australia, 1/01/07. Zhou, X, Dong, ZY, Liebman, A & James, GC 2009, Australian electricity market power analysis under potential emission trading scheme. in 2009 IEEE Power and Energy Society General Meeting, PES '09., 5276012, IEEE Power and Energy Society General Meeting 2009, Calgary Alberta, Canada, 26/07/09. Zhou, X, Dong, ZY, Liebman, A & James, G 2008, Potential impact of emission trading schemes on the Australian National Electricity Market. in IEEE Power and Energy Society 2008 General Meeting: Conversion and Delivery of Electrical Energy in the 21st Century, PES., 4596567, IEEE Power and Energy Society General Meeting 2008, Pittsburgh, United States, 20/07/08. Zischg, J, Gunn, AW, Rogers, BC, Rauch, W & Sitzenfrei, R 2017, Socio-technical transitioning of urban drainage systems using green/blue strategies in an uncertain environment. in Proceedings of the International Conference on Urban Drainage. Prague, Czech Republic. 2016 James Beattie, Edward Melillo and Emily O’Gorman (eds), Eco-Cultural Networks and the British Empire: new views in environmental history, in Australian Journal of Politics and History, vol. 62, no. 3, p. 491. 2016 Ian Tyrrell, Crisis of the Wasteful Nation: Empire and conservation in Theodore Roosevelt’s America, in Australasian Journal of American Studies, vol. 35, no. 1, pp. 157-59. 2015 Deb Anderson, Endurance: Australian stories of drought, in Historical Records of Australian Science, vol. 26, pp. 93-94. 2014 Robert Kenny, Gardens of Fire: an investigative memoir, in Journal of Australian Studies, vol. 38, no. 4, pp. 510-11. 2014 Matthew J. Colloff, Flooded Forest and Desert Creek: ecology and history of the river red gum, in Australian Book Review, November, pp. 15-16. 2016 Andrew Nikiforuk, Slick Water: Fracking and one insider’s stand against the world’s most powerful industry, in Australian Book Review, March. 2015 Jane Rawson and James Whitmore, The Handbook: Surviving and Living with Climate Change, in Australian Book Review, October. 2014 Peggy James, Cosmopolitan Conservationists: greening modern Sydney, in Australian Historical Studies, vol. 45, no. 3, pp. 463-64. 2013 SueEllen Campbell (ed. ), Face of the Earth: natural landscapes, science and culture, in Environment and History, vol. 19, no. 1, pp. 119-22. 2011 ‘“Counting on the weather”: Review of Kristine C. Harper, Weather by the numbers: the genesis of modern meteorology (2008)’, in Metascience, vol. 20, no. 1. Bos, JJ & Farrelly, M 2015, Industry Impact of the CaWSC Research Program: insights from five case studies. Cooperative Research Centre for Water Sensitive Cities, Clayton VIC Australia. Boulet, M, Rickinson, M & Reid, AD 2016, ResourceSmart Schools – Options for Research, Evaluation and Monitoring, Sustainability Victoria, Australia. Boulet, M, Rickinson, M & Reid, AD 2015, ResourceSmart Schools Review, Sustainability Victoria, Australia. Brown, RR, Rogers, BC & Werbeloff, L 2016, Moving Towards Water Sensitive Cities: A Guidance Manual for Strategists and Policy Makers. CRC for Water Sensitive Cities, Clayton Victoria Australia. Chubb, P & Sprott, P 2010, ‘The Media and Bushfire Arson’, in J Stanley & T Kestin T (eds. ), Advancing Bushfire Arson Prevention in Australia: Report from a national symposium, 25-26 March, Australia. Eltham, BC 2013, ‘The uncertain revolution: An analysis of the industry outlook for skills in an Australian green economy’, National industry and skills outlook in Australia, Department of Industry, Innovation, Science, Research and Tertiary Education, Canberra. Eltham, B 2010, ‘Australia’s Green Economic Potential’, Centre for Policy Development, CPD Occasional Paper Number 10, Sydney. Farrelly, M, Bos, A & Tawfik, SS 2016, CRCWSC Evaluation and Learning Framework. Cooperative Research Centre for Water Sensitive Cities, Clayton VIC Australia. Frantzeskaki, N, Rogers, BC, Skinner, R & Brown, RR 2012, Guidance manual: Key steps for implementing a strategic planning process for transformative change. Monash University, Melbourne, Australia. Frost, L, Gaynor, A, Gregory, J, Morgan, R, O'Hanlon, S, Spearritt, P & Young, J 2016, 'Water, history and the Australian city: urbanism, suburbanism and water in a dry continent, 1788-2015', Cooperative Research Centre for Water Sensitive Cities, Melbourne Vic Australia. Gunn, AW, Werbeloff, L, Chesterfield, CJ, Hammer, K & Rogers, BC 2017, Benchmarking, Envisioning and Transition Planning for a Water Sensitive Adelaide: Final Case Report. CRC for Water Sensitive Cities. Gunn, AW, Werbeloff, L, Chesterfield, CJ, Hammer, K & Rogers, BC 2017, Vision and Transition Strategy for a Water Sensitive Adelaide. CRC for Water Sensitive Cities, Monash University Clayton. Hammer, K, Rogers, BC, Chesterfield, CJ, Gunn, AW & Church, EK 2018, Vision and Transition Strategy for a Water Sensitive Greater Sydney. CRC for Water Sensitive Cities. Hammer, K, Rogers, BC, Chesterfield, CJ & Chandler, F 2018, Vision and Transition Strategy for a Water Sensitive Townsville. CRC for Water Sensitive Cities. Hearps, P, Dargaville, RJ, McConnell, D, Sandiford, M, Forcey, T & Seligman, P 2014, Opportunities for pumped hydro energy storage in Australia: Arup-MEI Research. University of Melbourne, Melbourne Victoria Australia. Lidberg J 2009, ‘Bush fires in Victoria’ – Summary report for Swedish Broadcasting Corporation Current Affairs, February 9. Melles, G, Hulse, K, Podkalicka, AM, Milne, E & Winfree, T 2017, 'Designing in’ – media and communications for low carbon home renovation. Cooperative Research Centre for Low Carbon Living. Milner, AJ & Burgmann, JR (ed.) 2018, Again, Dangerous Visions: Essays in Cultural Materialism. Historical Materialism Book Series, vol. 167, 1st edn, Brill, Leiden and Boston. Moglia, M, Podkalicka, AM, Marquez, L & Fiess, S 2018, Mapping the adoption processes of energy efficient products in the residential sector. Podkalicka, AM, Milne, E, Hulse, K, Winfree, T & Melles, G 2016, 'Hashtag sustainability? Home renovators' media world. Rickinson, M, Reid, AD & Hall, M 2014, ResourceSmart schools research project, Monash University and Sustainability Victoria, Australia. Rogers, BC, Brodnik, C, Church, EK & Hammer, K 2017, Envisioning, Benchmarking and Transition Planning for a Water Sensitive Gold Coast: Final Project Report. CRC for Water Sensitive Cities, Melbourne, Australia. Rogers, BC, Brown, RR & Werbeloff, L 2014, Benchmarking Auckland's stormwater management practice against the Water Sensitive City framework. Auckland Council , Auckland New Zealand. Rogers, BC, Chesterfield, CJ, Brodnik, C, Church, EK & Hammer, K 2017, Vision and Transition Strategy for a Water Sensitive Gold Coast. CRC for Water Sensitive Cities, Melbourne, Australia. Rogers, BC, Frantzeskaki, N, Skinner, R & Brown, RR 2012, Melbourne's transition to a Water Sensitive City: Recommendations for strategic action. Monash University, Melbourne, Australia. Rogers, BC, Gunn, AW, Church, EK, Hammer, K & Lindsay, JM 2018, Vision and Transition Strategy for a Water Sensitive Bendigo. CRC for Water Sensitive Cities. Rogers, BC & Gunn, AW 2017, Towards a Water Sensitive Elwood: A Community Vision and Transition Pathways. CRC for Water Sensitive Cities, Melbourne, Australia. Rogers, BC, Hammer, K, Werbeloff, L & Chesterfield, CJ 2015, Shaping Perth as a Water Sensitive City: Outcomes and Perspectives from a participatory process to develop a vision and strategic transition framework. CRC for Water Sensitive Cities, Clayton, Vic. Melbourne. Bertram, N, Murphy, C, Pasman, R, Rogers, B, Gunn, A, Urich, C, Arnbjerg-Nielsen, K, Lowe, R, Radhakrishnan, M & Gersonius, B, Swamped, 2017, Commissioned or Visual Artwork, City of Port Phillip, St Kilda, Vic, Australia. Milner, A 2013, ‘The Sea and Summer: Utopia as Futurology’, Ludwig Hirschfeld Mack Lecture, Australian Embassy, Berlin, 3 June. Milner, A 2013, ‘The Uses of Science Fiction’, Internationales Begegnungszentrum der Wissenschaft, Berlin, 18 July. Milner, A 2013, ‘The Sea and Summer: Utopia as Futurology’, SF Research Group, Deakin University, 31 October. Sieber, R, Dillon, S, Milner, A, Nisbet, EG & Robinson, KS 2014, ‘Climate Change Narratives’, Loncon 3: The 72nd World Science Fiction Convention, World Science Fiction Society, London, 14-18 August. Milner, A 2014, ‘Ice, Fire and Flood: Science Fiction and the Anthropocene’, Melbourne Free University, 20 November.